Throw Down Your Shovels The Johnny Bucket & Plow Has Arrived!! If video does not play "Click Here"
Why is the Johnny Bucket and Plow Right for You? Just what is a Johnny Bucket? 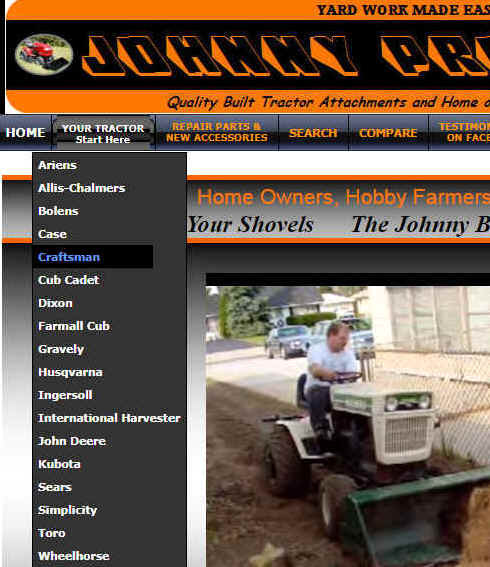 A Johnny Bucket is a radical new front end loader design that enables a home owner with their own lawn or garden tractor to transport material from a pile to all over the yard without the hassles of renting or owning a conventional loader . Why don't I just rent a skid steer loader to do the same job? In some cases a skid steer type loader is the only answer for your needs, but lets face it, most of time "the common man" only needs to transport material from point A to point B not to load trailers and dump trucks at their houses. The garden supply centers only needs this loading capability. Skid steer loaders are very heavy, destructive and dangerous to operate. These types of loaders weigh on the average of 3 tons (6000 lbs.). When driving them over edges of asphalt, they can crack and do permanent damage to your driveway. While driving them on your lawn, they can cause soil compaction and even rip it up because of skid steering. A skid steer loader requires allot of skill to operate and can oscillate wildly out of control. Why not use something your very familiar with like you very own lawn and garden tractor. Would you use a sledge hammer to swat a fly? No of course not, that is why the Johnny Bucket's light weight and easy hookup makes it right for "you", the "common man with the common yard"
You can own a Johnny Bucket for about the price as renting a skid steer loader. A skid steer loader's rental fee can cost up to $400 for just one Saturday and most times you have to borrow or rent a truck to haul it to your house. For a little over twice that money, you can own a Johnny Bucket for not just one Saturday but a lifetime of Saturdays and never have to return it!!. Are you still not convinced the Johnny Bucket is right for you? Stop by the Testimonials and see what Johnny Bucket owners think of them. Why don't I just get a conventional loader attachment for my tractor? A conventional loader attachment can cost up to $4000 and the tractor that will handle it's weight is close to $10,000. That's $14,000 total. With a conventional loader, they must be bolted on and can take hours to install. This commitment makes it impractical if you want to use your tractor for lawn mowing etc. In most cases the average home owner may just want to move mulch, dirt or gravel over the weekend. Time to shed that conventional loader PIPE DREAM! As children most of us played with TONKA™ trucks and loaders in our sand boxes scooping and dumping. 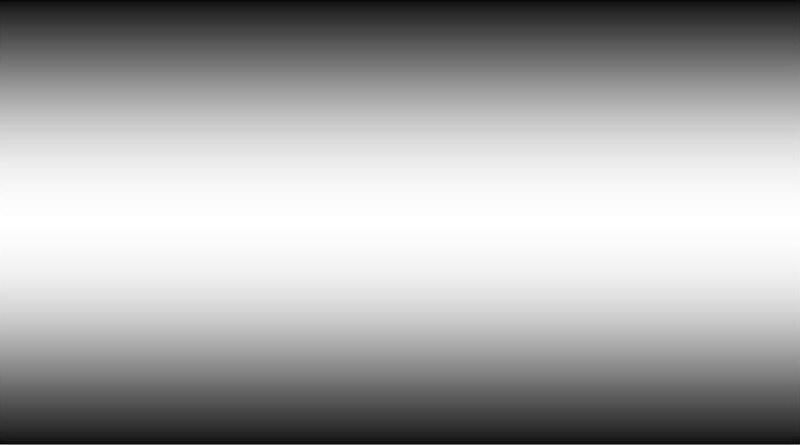 This conditioned us to believe that the only kind of useful loader is a conventional one. I too had this same mind set and was skeptical when I built the first Johnny Bucket. Once I started using it around the yard, I soon realized that I never needed to load things, just move things around. I still am amazed every time I use mine on how handy these attachments really are. How do I Learn More, Get Pricing / Order? 1. Click on the "YOUR TRACTOR Start Here" in the upper left corner as seen below in the example. 2. In the Drop Down, Click on your tractor brand or the tractor brand your are considering buying to use with our products. 3. Some tractor models such as Craftsman, Cub Cadet and John Deere have many different size tractors, thus the reason many different size Johnny Buckets and Plows. Because of this, you will land on a subcategory page where you will need to select between the different models to get to the correct product and pricing / order page. 4. For a price quote with shipping, simply "ADD TO CART" all the items that will help you accomplish goals. 5.If none of the above helps, try clicking on our "SEARCH" tool to find your model as seen below. 6. If all else fails finding it, send us an email. Include the model number on the hood and if it's a Craftsman or Husqvarna, we will also need the model number from under the seat. A picture of this label would also be very helpful. Order early and have it when you need it. Please don't wait till the last minute to order only to find out there is up to a 4 week backlog. Remember..... "The Early Bird Gets the Work Done"